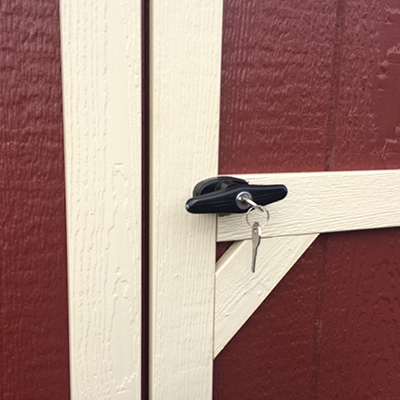 We know how important it is to keep your chickens secure in their coop. 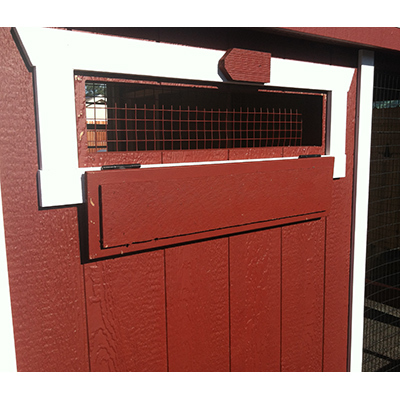 Our chicken coops have features that ensure your chickens remain as safe as possible, along with the option to buy add-ons. 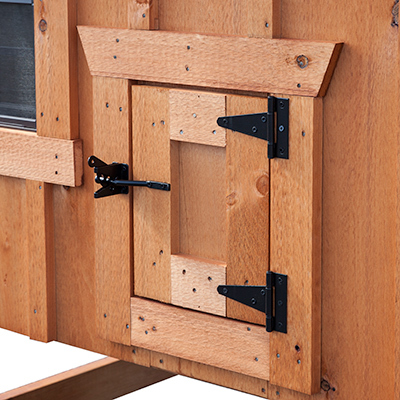 Every coop is built with quality materials, including a secure latch on the entrance door and a heavy door on the nesting box. The coops are completed with a standard wire - 14 gauge coated wire that forms a grid made up of 1” x 2” holes. 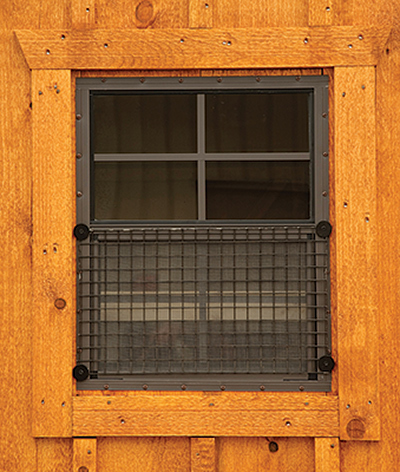 If you need extra protection from small critters, you can upgrade your wire option for smaller hole sizes. 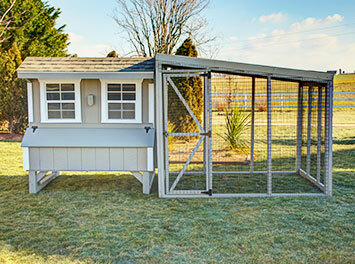 As an add-on, you can choose to have wire installed over the windows of your coop. Have an issue with large burrowing critters? 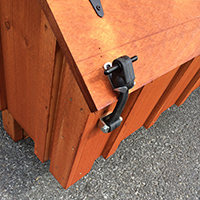 Ask about buying wire to add onto the bottom side of your chicken run!